Does taking a month long vacation sound good to you? What if you needed to do it on a budget? Would you still like to take all that time off? We decided that yes we would like to take one month off and do nothing but relax and reset. This idea was formulated in February when both of our daughters told us they had decided to take summer classes and work at school. Slowly it dawned on us that for the first time in 21 years we did not have to be home for kids and their activities. So we opted to load up the dog and travel out to the Oregon coast where we are staying for a full month. “But what about jobs?” you might be thinking. Well, we are incredibly fortunate that my husband can take time off. My husband can take the time off from work, BUT when he doesn’t work, he doesn’t get paid. Therefore, in order for us to take this time off, we’ve had to do it on a budget. Our answer to that: Good thing I write a blog all about saving money while still being healthy! People! I feel like I have been training for this all my life. The meal planning, the couponing, the budget friendly lifestyle, THERE IS A PAYOFF AND IT LOOKS LIKE A MONTH AT THE BEACH!!! If ever there was a time to put every single strategy and tip into practice, this month was it. Whatever your vacation plans – one weekend, one week, one month – here is how to eat cheap. 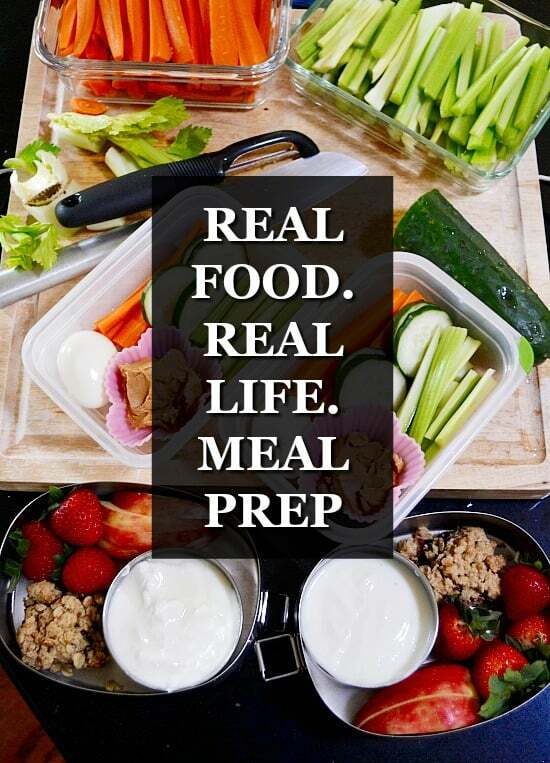 I’m not suggesting you cook every meal – but you’ll save the most money if you do. With all the options out there like Air BnB and VRBO, finding a place with a kitchen is easy. Even better, these places can be reasonably priced too. Alternatively, there are plenty of hotels that offer small kitchenettes where it’s at least possible to cook a light breakfast and lunch. I have a whole post with tricks to save on groceries. You better bet I’m using all 25 tips this month! The savings start by planning every trip to the store. 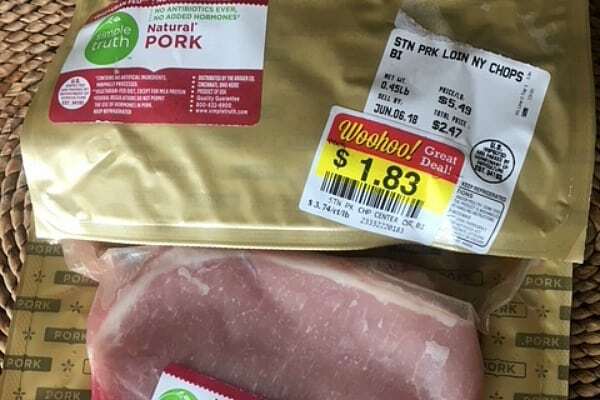 When grocery shopping, I’m looking for the cheapest meats possible and making meals around them. Moreover, I’m keeping our meals super simple. No special ingredients, limited spices, and minimal hands on cooking. I found ground turkey on mark down for $3.47 a package. I bought a spaghetti squash for $2.99 and a jar of organic pasta sauce for $2.99. I browned the ground turkey with some garlic and mixed in the pasta sauce. Meanwhile, I cooked the spaghetti squash in a crockpot. We tossed it all together and called it dinner. The leftovers were eaten for lunch the next day. For approximately $9.50 we got two healthy meals! I’m not clipping a single coupon this trip – but I am using electronic coupons. Pull up the website for any local grocery stores and see if they have loyalty programs. Make sure you sign up for a loyalty card because many sale prices are only available to loyalty shoppers. Next, see if they offer online coupons you can load directly to your card. I just add everything I think we could possibly buy. It takes very little time and effort to load your card with ecoupons. 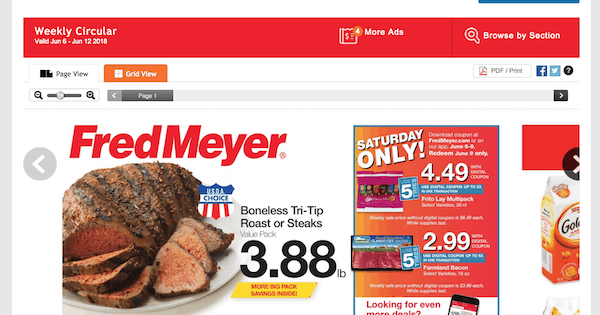 Scroll the ad to start making your shopping list and menu plan. Once you’ve completed those tasks, close up your computer and move on to your cell phone. Be sure to have the Ibotta app, Checkout 51 and Savings Star loaded onto your phone. Check out what rebates are available at the store where you will be shopping and add those offers to your account. After you have picked up groceries, immediately take pictures of your receipts to get the cash back. I literally do this in the car before heading home. It’s too easy for me to lose the receipt and I don’t want to forfeit the savings just because I can’t find the receipt. Although we are cooking the majority of our meals at home, I still want to explore the location cuisine and enjoy a night out. If you are traveling as a family and choose to dine out during your vacation, check out this master list of places where Kids Eat Free. You can also do a google search for “kids eat free near me”. Choosing restaurants with kids eat free offerings can save you a bundle on your next vacation. Another great way to save on dining out is to find local happy hours. In exchange for eating at off hours, you’ll be able to save on drinks and small plates. I used Facebook to find local happy hours. Our first week here, we met family at a local restaurant at 3:00 – the start of happy hour. We ordered 2 kombuchas, 2 wines, and 1 beer. Our happy hour drinks came with a complimentary smoked salmon and avocado small plate for each of us. Our total for drinks and small bites? $18.50!!! When was the last time you went out for drinks and appetizers and the total was under $20??? Would you rather picnic or pack a sack lunch? Sometimes it’s all in what you call it. You can pack a picnic and enjoy it at the beach, a local park, or along a hiking trail. You’ll have a better view than any restaurant can offer. Or, you can have what we call “A picnic on the bed.” Spread a blanket out on your hotel bed, lay out your picnic food and enjoy in front of a movie for an inexpensive dinner and a movie. Kids love it! 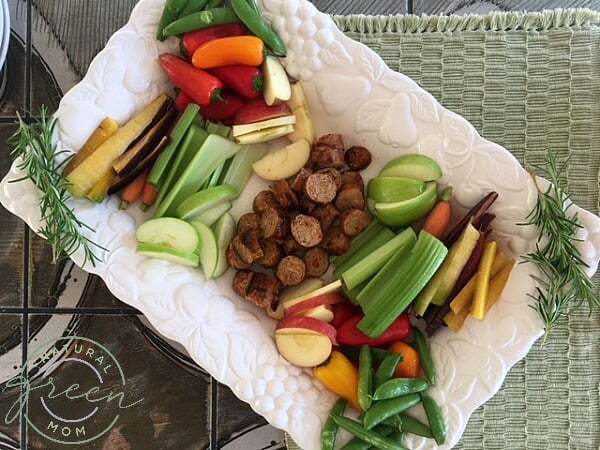 This platter was our picnic dinner one night. The sausage was on sale for $2.99/package. We cut up fruits and veggies, made it look pretty, and had a “picnic” in the living room. It was healthy, cheap, easy and it cost around $8. There are several great ways to find local discounts and coupons for eating out. In addition, try finding the pages of local businesses on Facebook. It’s a great way to find any events or specials that offer discount savings or unique dining experiences. Finally, look into getting an entertainment book for the area where you will be visiting. Depending on the location, many restaurants will offer 2 for 1 dinners or free appetizers. Every VRBO we’ve ever stayed in has had a slow cooker available for use. 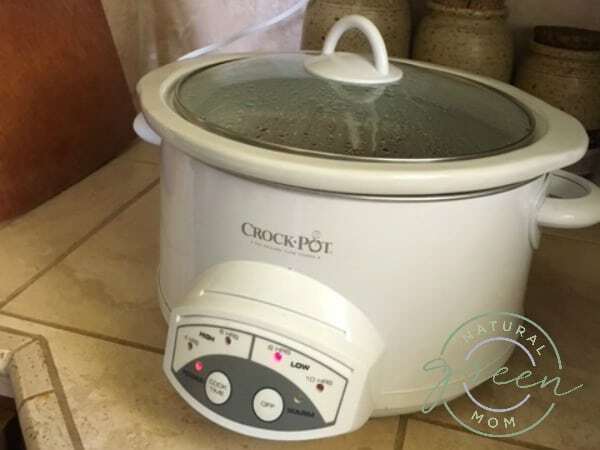 But when we travel and stay in a hotel with a kitchenette – I always bring my slow cooker along. Is there ever a better time to make use of a slow cooker than on vacation? Vacations are all about set it and forget it! Slow cookers are also excellent for making use of cheap cuts of meat and creating super simple suppers. I threw the thighs and sauce in the slow cooker and set it for 8 hours. We’ve had BBQ beef sandwiches for 3 meals! Not only is that about $4/meal, but I slow cooked it once and was able to do a quick reheat for the other meals. Check out my Slow Cook Once, Eat Twice ebook. It’s full of recipes that feature inexpensive cuts of meat. You’ll slow cook once, then transform the leftovers to get a second, completely different meal. I’ve also been known to travel with an electric griddle – and use it in a hotel room to save on breakfast costs. 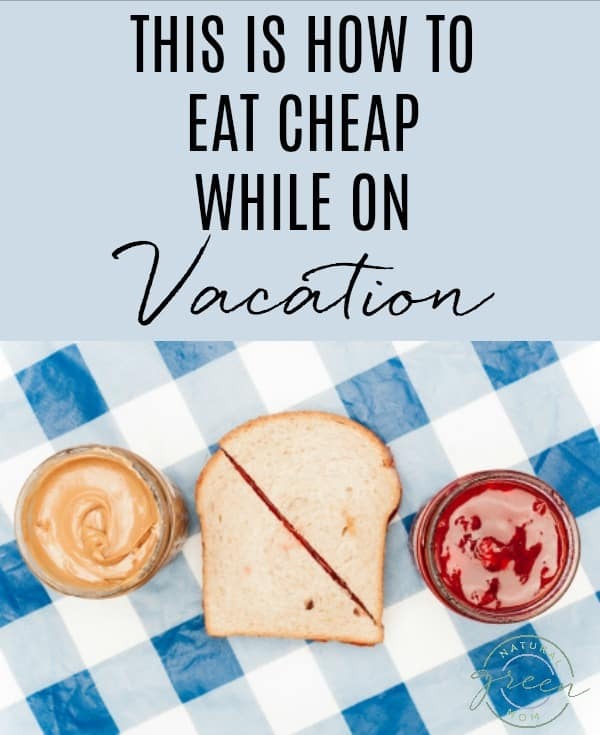 These are tips and tricks we’re using to eat cheap while on vacation. Do you have any you can share? Previous Post: « Kroger and Affiliates: 4 Healthy and Organic Deals for less than $2 Each! Yes, we have always taken breakfast with us or purchased@a grocery store. Yogurt & fruit (local), meat and fruit, hard-boiled eggs with sauces (homemade)-we always eat breakfast in the room… Unless we get a hotel with breakfast!